Bentley: “Thank you all so much for the birthday wishes. It really means a lot to me. My 11th birthday was a lot of fun. We all went for a walk in the afternoon around our neighborhood. Mom brushed me for an extra-long time because she knows how much I love it. Mom and Dad both gave me lots of hugs and belly rubs. Add some yummy cookie with ice cream and it was a perfect day! I promised to share some of the pictures from my birthday party so I hope you enjoy these. I’ll be your moderator for the festivities. Mom and Dad bought my cookie at the Woofgang Bakery. It was so festive and look how big! We’ll be eating the cookie for a long time. Did I mention that I love sprinkles? Why am I so short? Why are they singing when there is a cookie to be enjoyed? 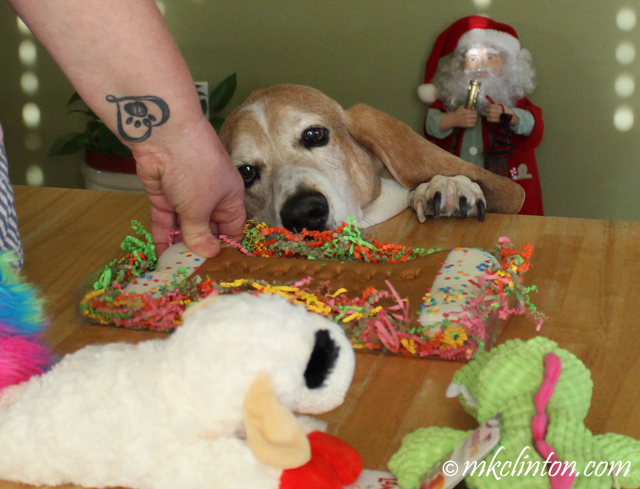 Hey, is that a new Lamb Chop? This cookie smells amazing! I’m not sure why Mom felt the need to cut my cookie. She could just hand that baby to the birthday boy! Yes, give me a piece with frosting and sprinkles! Pierre was very excited for my party. 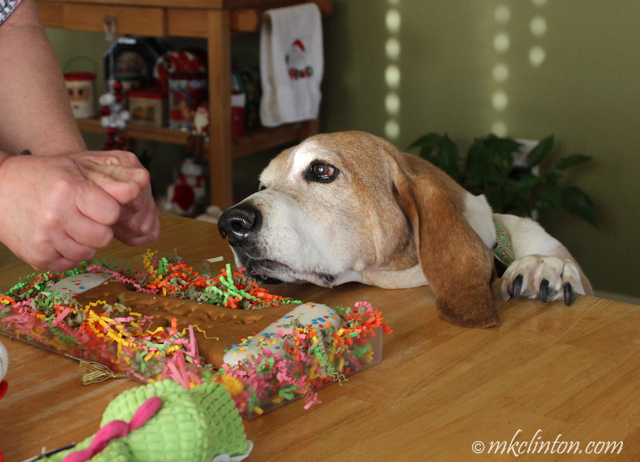 As you know, he lives for celebrations that include cookie or cake. I was happy to share with him. We will also be sending some home to Paisley the Weather Lab. Oh no! 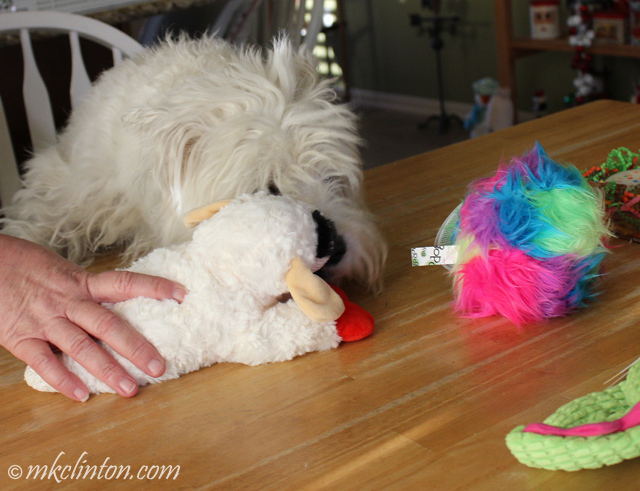 Pierre has found my new Lamb Chop. I think we all know what happened to my last one. I’m going to have to keep a close eye on my new snuggle buddy. that is a super fabulous birthday cake... and yes the part with frosting and sprinkles is sure da best! Oh I say you had the most PAWFECT Birthday dear Bentley! 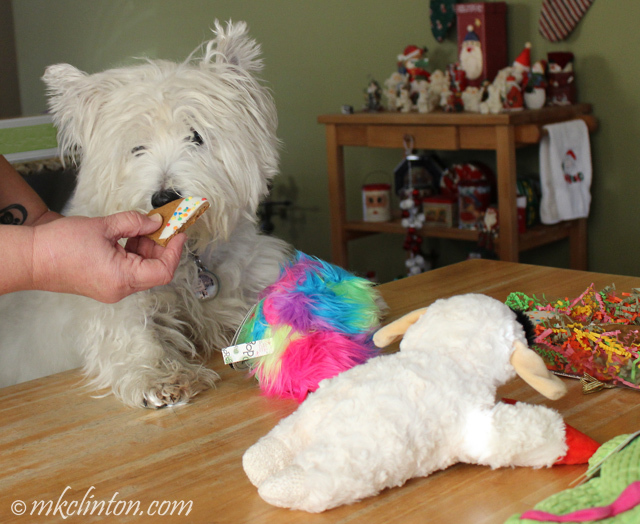 What a wonderful pawty and great gifts, Bentley! And your cake is just fabulous and looks soooooooo yummy! Awww! What a wonderful party! Love that huge cookie cake! 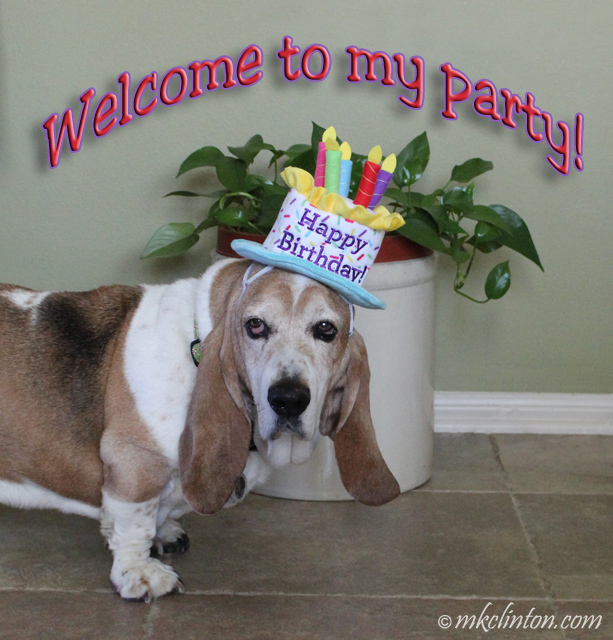 We are so glad you had such a good time on your Barkday. Happy Barkday Week we hope you have an awesome one. Your Mom totally didn't need to cut up that giant cookie, I'm sure you could have eaten the whole thing. ;) I'm glad you had a good day. Wow! A whole cake for you? And squeaky toys too? What a wonderful birthday! What a great party! It took me a couple of weeks to eat my birthday cookie. Once they start cutting, they can’t stop!! What an adorable birthday cookie! 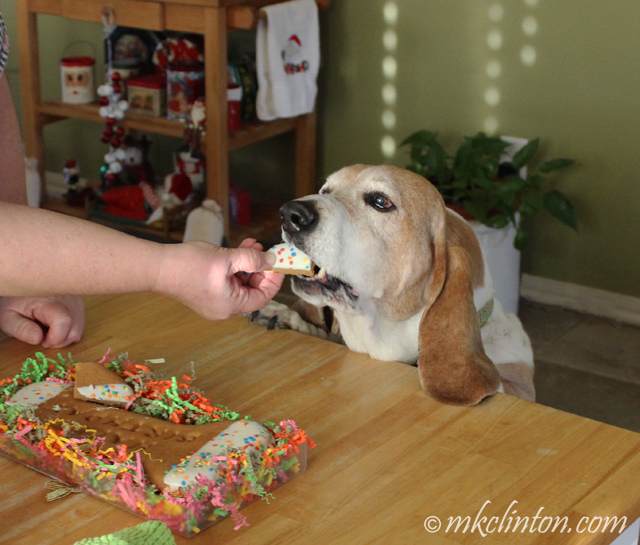 OMD..Best Birthday cookie EVER!! 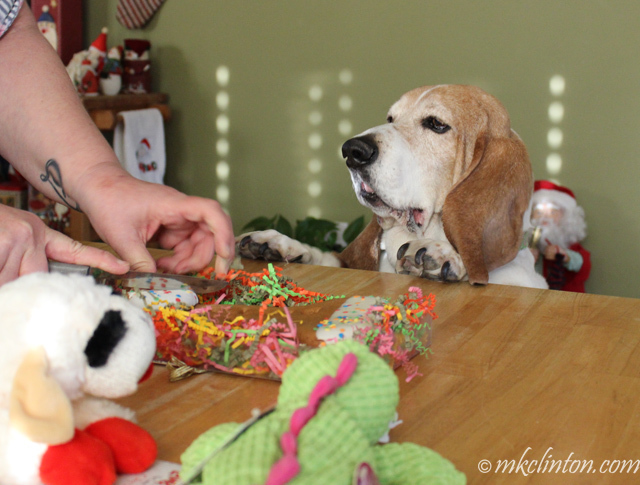 What a great birthday pawty Bentley! 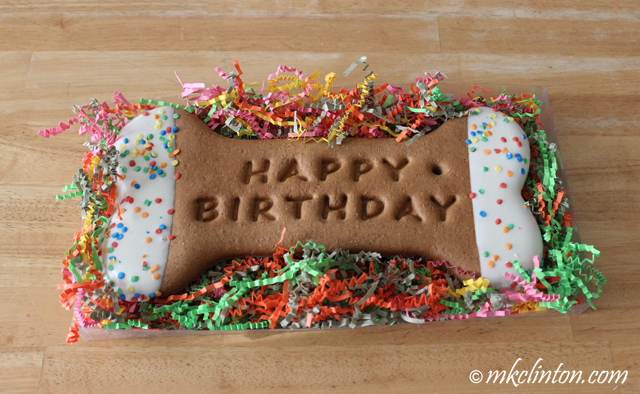 That's one pawsome birthday cookie for a pawsome birthday hound. What a wagnificent pawty! What a fun party! Glad you had a happy birthday, Bentley! I am glad you had such a great day. HOLY COOKIE MONSTER! 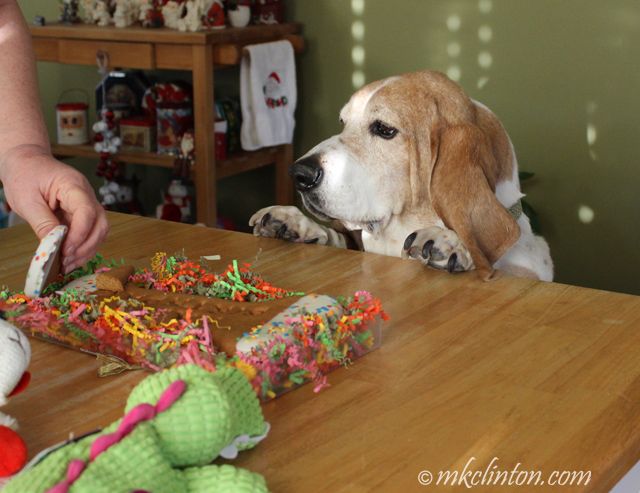 That is one pawsome Burthday cookie Bentley!!! I never got a cookie like that! I wish Ma knew where to shop. sigh. Anyhu, looks like a pawsome pawty, and you are so sweet to share with your brudder and Paisley!! !